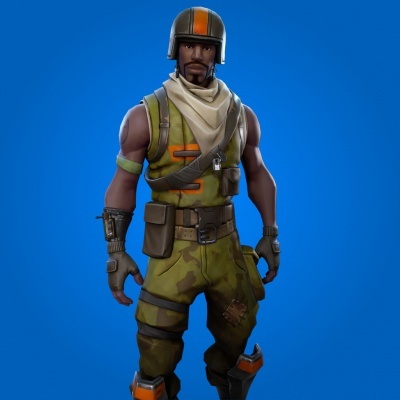 The Aerial Assault Trooper Outfit in Fortnite BR. You can buy it from the Season Store when you reach season level 15 for 1,200 vbucks. Aerial Assault Trooper is the name of one of the outfits in Fortnite Battle Royale. Buy this skin from the Season Shop. Even though it's unlocked you still have to buy it at that point, using Vbucks.